This has helped people with migraines! The Flat Blade is ideal for milling grains, grinding fresh herbs and chopping nuts. The blade is made of stainless steel and never needs sharpening. That sounds like a neat use. It cracks through stems! Wow! That is powerful! I like that it’s powerful enough to burst open seeds. I like the milling blade for the herbs & nuts. This product looks pretty great. 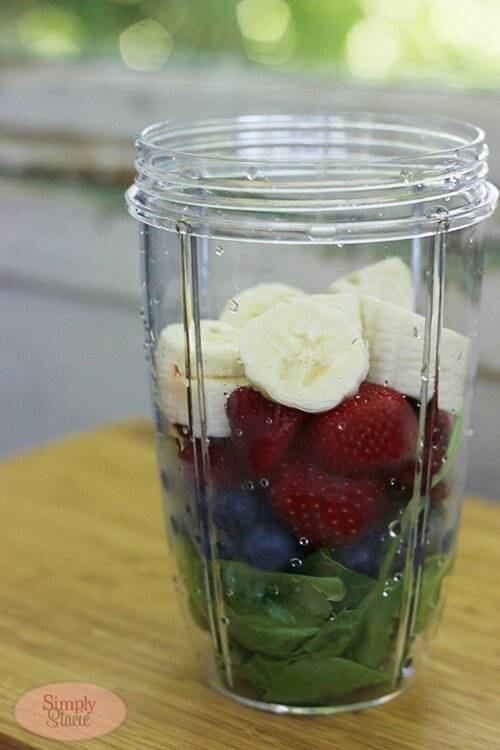 I like that it breaks down the fruits and veggies better than your average blender. NutriBlast takes only seconds to prepare, seconds to clean and couldn’t be easier to take on-the-go. The NutriBullet would be awesome to own! I want!! Emulsifies food to make it more nutritionally available resulting in health benefits. The small size is a great benefit: less counter clutter, just right serving sizes and way easier to clean! And you simply mix and walk out the door with the cup ya just mixed it in! No extra containers. The NutriBullet can make small servings like the energizing, cleansing shot of a peeled lemon, peeled slice of fresh ginger, and a pop of cayenne pepper. Make these in the morning when you are feeling draggy or sick or congested. WOW. What a rush. Oh a you can add a bit of raw garlic for extra anti-oxidant, anti-fungal power too. You WILL feel better. A tool like this makes the nutrition in foods more available because our eating and digestive process can’t unlock all the nutrients in what we eat. The emulsification delivers the nutritionally laden ingredients into our mineral- and vitamin-deficient bodies that normally go to waste. You’ll feel better, more satisfied, more full and more alert. To clean it, all you need is a little soap and hot water, turn it on and the NutriBullet is its own dishwasher LOL. I love that it can help me make healthier meals. I have a LOT of migraines and maybe this would help. 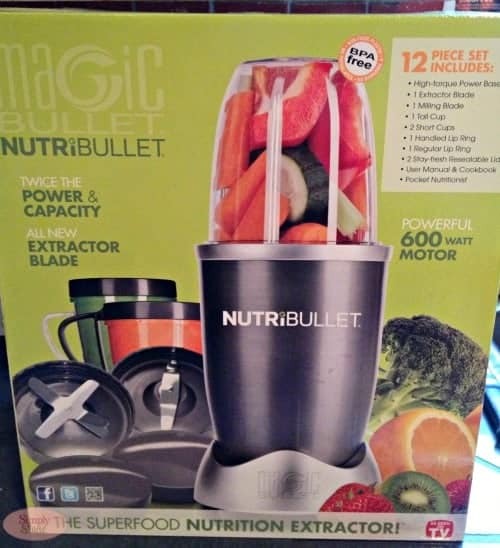 I love that the blade is stronger on the Nurtibullet than most blenders, I nearly broke my blender the other day with just some kale… I think it’s time to upgrade! I learned that it has a 600 watt motor. I like that its bpa free. It has a 600 watt motor. I like the Organic Chia Seeds you can order! I want a NutriBullet so badly! Super powerful & BPA free. I like that it cuts through stems and seeds. I learned that it shreds through skins and snaps stems. The NutriBullet breaks down food to its most nutritious form and even breaks down seeds and stems. I learned it is 600 watts. I was very excited about Nutribullet, until I Youtubed some videos abot the Nutribullet and learned that some people complained about rust being sucked into their drink after using the Nutribullet for a while and that Nutribullet so far has not addressed this issue. Health and Nutrition expert David Wolfe is the author of many best-selling books including Eating for Beauty, The Sunfood Diet Success System, David Wolfe on Raw Foods, Superfoods: The Food and Medicine of the Future and The LongevityNOW Program. A highly sought after health and personal success speaker, David has given over 2,000 live lecture events in the past 16 years. David empowers and inspires people all over the world to take charge of their own health by eating the right foods. I learned about THE EXTRACTOR BLADE. The unique design of the all-new Extractor Blade, when combined with the Magic Bullet exclusive Cyclonic Action, generates the power to break through tough seeds, thick stems and tough skin to access the hidden nutrition inside. I also like that it includes a recipe booklet. 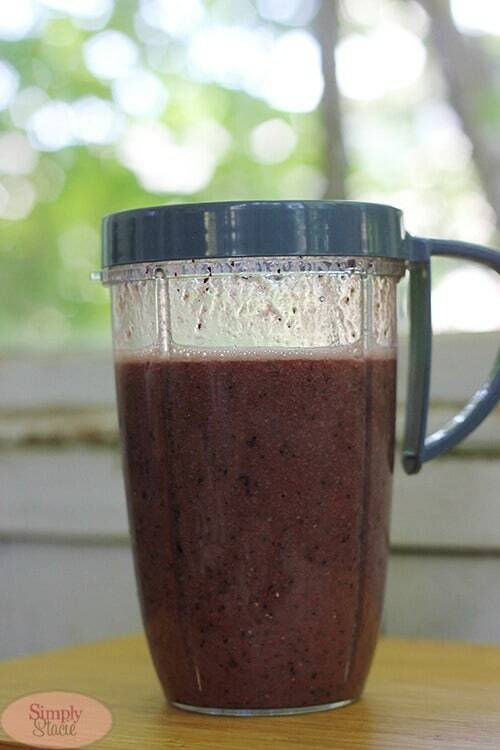 I learned that the nutribullet breaks down fruits and veggies better than a regular blender. It doesn’t blend it extracts. I recently was diagnose with RA. So this will definitely help me! Liked the toxic clean blast. I love all the features especially the easy clean-up. I also like the immune system boost shake receipe. Absolutely love the nutribullet system! I recommend juicing and smoothies to my wrappers!